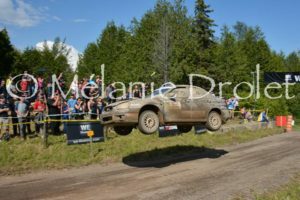 The Rallye Auto International Baie-Des-Chaleurs will be at is 41st edition from June 29 to July 1, 2018. With 40 years of experience, the Baie-Des-Chaleurs Rally enjoys a reputation that goes beyond Québec’s borders. . It is considered by the best North American drivers as the Rally par excellence in North America for these routes but especially for its festive atmosphere that is unique. We have hosted teams from across Canada, the United States and even Mexico. For is 41st edition, the popular SHAKEDOWN and the Ceremonial Start in downtown New Richmond will be back for the enjoyment of all. The road map will also be redesigned to allow you to live the best experience possible with the return of some popular specials in the past and the addition of new stretch of road. There are 2 recce pass with descriptive notes provided.